The City of Mission Viejo is seeking lifeguards of all ages to help staff its recreation centers that are open year-round. The job can be rewarding for retired adults, with a passion for water safety and working outdoors, seeking a part-time position. Across the country, older adults and retirees are stepping up to the lifeguard chair — a job that historically has been a rite of passage for high-schoolers and college students. But with school back in session, the teen summer job is drying up and older adults are stepping up to fill the gaps. 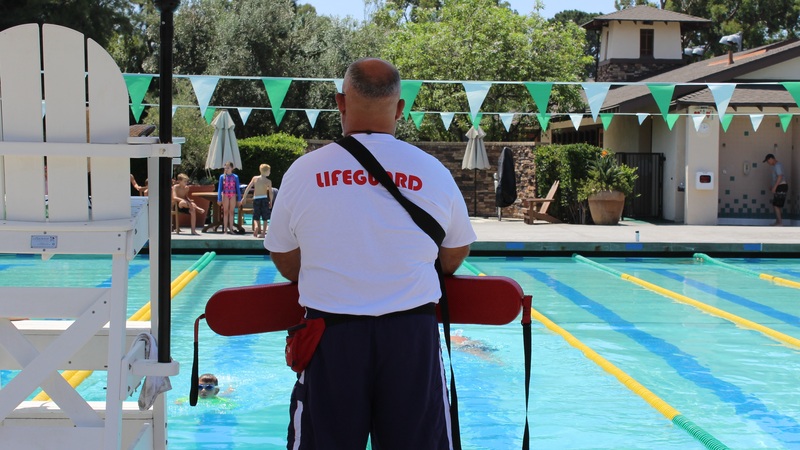 In Mission Viejo, Lifeguard and Senior Lifeguard positions are assigned to the Montanoso or Sierra Recreation and Fitness Centers. Lifeguards work during pool hours and special events. Certain requirements apply for both positions and information is available at this link. Pay for the Lifeguard position ranges from $11-$14.20 per hour with the Senior Lifeguard job ranging from $12.09-$15.56 per hour. “Having older adults who have a love of water and safety is a great benefit to our work team and creates an added quality of connection for those who use our aquatic facilities," said Community Services Manager Lydie Gutfeld. Please click on the blue words "this link" at the end of the third paragraph. It will take you to the job information flier that has details on hours and days of work.